If you are a regular computer user, you’ve probably heard of Java, a broadly popular programming language that developers around the world use to create websites, software, applications and programs in other platforms. There is a general consensus that security within a computer system or a network of computers is very critical. 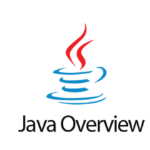 It is therefore essential for both developers and the general public to understand the steps needed to ensure that the working environment around Java usage is completely secure. Here’s an attempt to guide you through the steps to achieving full Java security. There are two major sections—the first dealing with security issues to be handled by the developers and the second addressing general users. Security experts draw out broad guidelines to be followed by the developers working in the Java environment. These may be relevant to a setup where a team lead is overseeing the work being carried out by a team of developers, since enforcing security is the concern of everyone. These guidelines have been made into rules to be adhered to. There are many such rules outlined; most of them figure here, but not in such elaborate technical details in the interest of space as well as maintaining relevance to the readers of this guide. Avoid relying on Initialization: Label all classes and variables as Private; not doing so could be a security risk. Make all values final: this rule could annoy the developers, but leaving anything non-final is tantamount to inviting hackers. In the case of some of these rules, the developers may have to simply accept and abide, since security cannot be compromised. Package Scope is not to be relied on: Again, this is a rule where the ease of working method for the developer clashes with the need to keep the potential attacker at bay. Therefore, don’t depend on it while working with Java. Drop the use of inner classes: This is more of a point of advice than a rule. But the bottom line is that during the process of writing codes using Java, anything the developer does that can expose the system to a breach must be stopped/not permitted. Archive signed code: The basic rule here is that you should not sign your code, but it it is inevitable that you sign the code, then you should bunch them together in one place and archive them. This way, you’ll at least ensure that the chances of mounting an attack are considerably reduced. Take appropriate steps with your classes: There are rules within the Java security environment which dictate that you don’t serialize your classes, make them unclonable and not to compare the classes by name and so on. Various technicalities apply. The general belief is that despite having the best security around, there is no absolute guarantee that there will not be a hack or a cyberattack. But you will have to keep sticking to these rules and follow the best security practices without any leniency. An amateur user of computing devices who just checks his or her emails and does not do much more may not be very keen to know these points in-depth. But a majority of computer users should be equipped with at least some knowledge of the risks involved while downloading any file from the internet and visiting websites which may be carrying malicious content that could infect their systems. One of the key pieces of advice offered is to be extremely careful while visiting websites. There is always the temptation to indiscriminately click on links on the internet just to find out what’s on offer or what’s new. This has to be completely avoided. If you have a good antivirus package, it will warn you about such dangerous sites and might block your access to them. An antivirus browser protection program, such as Panda Safe Web, Avira Browser Safety or Norton Safe Web, is a helpful tool to have for protecting against malicious links. 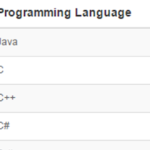 Learning a little about the Java environment is quite useful. If you use your computer or other devices and stay connected to the internet, for the sake of the safety of your device, you can go through some tutorials on Java to keep yourself updated on its uses and risks. This will make it easier to understand when Java-related information is conveyed to you through other means. Your browser needs to be updated to the latest version. 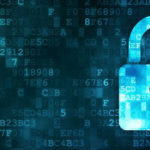 Whichever browser you use, your Java security is linked to your browser’s inherent ability to ward off any hack attempts. Most popular browsers these days come with automatic updates. However, it is safer to check periodically and confirm that your browser is indeed the latest version. Be alert to security warnings that appear on your screen. The tendency among users is to gloss over such security alerts about Java or the vulnerabilities in the browser. Don’t ignore them; read and try to understand them. If you are part of a large organization, you can seek the help of the systems expert in your company to guide you out of such situations. Java brings in a lot of benefits and opportunities in the world of development and design. However, there can be security risks involved too, and keeping oneself abreast of what’s happening in the technology industry goes a long way in keeping you and your systems safe.